Note: This is a super late post reviewing the One Ok Rock concert I attended on January 17th, my blogging schedule is lacking. I will work on creating a concrete schedule for posting blog posts on a regular basis, sorry about that everyone. However, I hope you still enjoy this post. Where do I even begin when I talk about One Ok Rock, they are simply one of kind and on the rise of stardom. I discovered One Ok Rock back in 2014 while watching the live action of Rurouni Kenshin Movie. The first song I heard by them was “Mighty Long Fall”, I thought it was best song I’ve heard in a long time. I attended their tour in 2015 and when I found out they were coming to Toronto again this year, I knew I had to go. The concert was held at Rebel Club in Toronto, there were many people coming to see them perform along with new and old fans. The venue is 45,000 square feet, there are two floors, however, the top floor seemed more spacious. The venue’s location is not the best, it was slightly hard to find. If the concert is held at the same venue when they come to Toronto again, plan ahead and leave earlier. The lineups moved fairly quickly thanks to the well trained staff. The concert began with an opening act from the band, Cruisers, I have never heard of them before that night. Even though they were not well known, many people enjoyed their music and I did too. Taka (vocalist), Toru (guitarist), Ryota (bassist) and Tomoya (drummer) had so much energy, they knew how to make the audience excited to rock out to their music. I observed each member of the group and they performed with a passion, it was wonderful to see how much they love what they do for a living. One of the things that always impresses me about Taka is his vocal range and stamina. He sounded stable all throughout his songs, running and jumping around on stage. My favorite songs from the concert were “We Are”, “Taking Off”, “The Beginning” and “Mighty Long Fall”. However, I was strongly anticipating to hear “We Are”, I love the passion in Taka’s voice when he sing the lyrics talking about staying true to who you are and never giving up. After seeing One Ok Rock performing twice, once in 2015 and again this year I can tell they seemed more comfortable and even more energetic to be on stage. They are growing their fanbase, and they are becoming even more prominent in the music world. I love their music because the melody, the lyrics and the way Taka sings touches my soul. It makes me feel encouraged, energetic and happy. Taka sings 100% live and in this day and age of auto-tune, it seems rare to see that. The price of the tickets were reasonable, and not overly expensive. However, that may not last for too long because they are become more and more popular. With that being said, I will conclude this concert review with sharing some live performances and music videos from One Ok Rock. Music Monday! One Ok Rock – Beginning. Welcome back to Music Monday! This weekend was very low key for me, so I decided that it is the perfect time to sit down and catch up on Japanese dramas and movies. 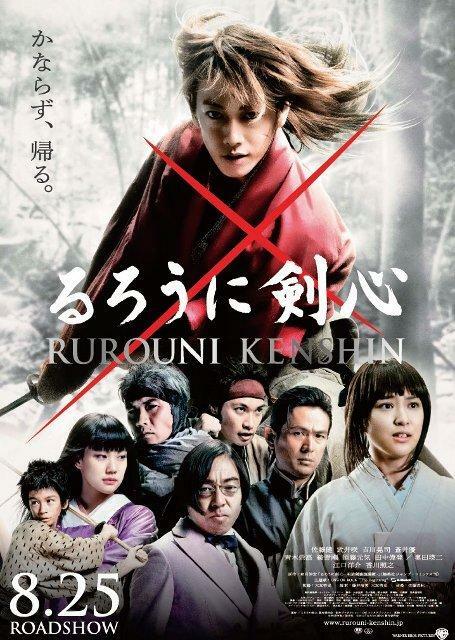 One movie I’ve planning to watch for a while is the Rurouni Kenshin live action. Oh boy, I was absolutely mesmerized by the beauty of the movie and the cinematography. In addition, the soundtrack was on point! The instrumental songs throughout the movie managed to capture the mood of specific scenes very well, from emotional to carefree. However, my attention was caught by the music during the ending credits. As you guys know, if I’m impressed by a movie soundtrack I search it on YouTube and listen to it all day. The new band that I discovered is One Ok Rock and the song I’ll be sharing is “Beginning”. 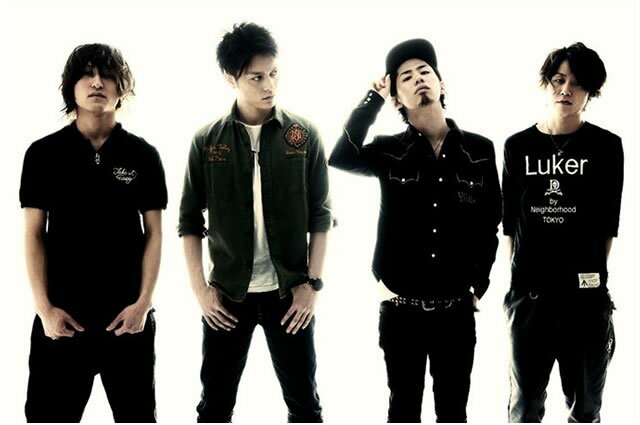 One Ok Rock is a Japanese rock band that was formed in 2005 with the members Taka, Toru, Ryota and Tomoya. I found it very interesting that they incorporate a mix of Japanese and English lyrics in their songs. I think that’s a great marketing strategy to reach a wider audience and gain more popularity. The band became more popular throughout the years in countries such as the United States, Europe and South America. One Ok Rock announced that they will be releasing a brand new album in February 2015 titled “35xxxv”.